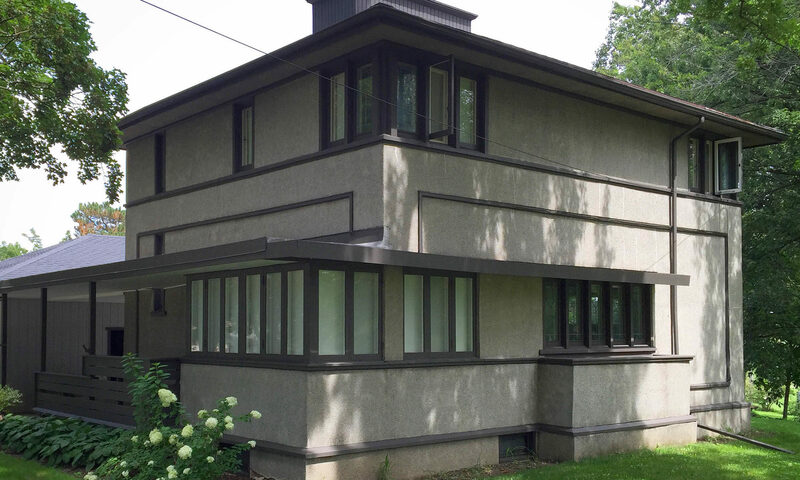 It’s unclear how Meier would have learned about Frank Lloyd Wright and his American System-Built homes. Perhaps it was Meier’s time in Chicago, where he studied law at The University of Chicago and where he would marry Grace, that he became familiar with Wright’s designs. 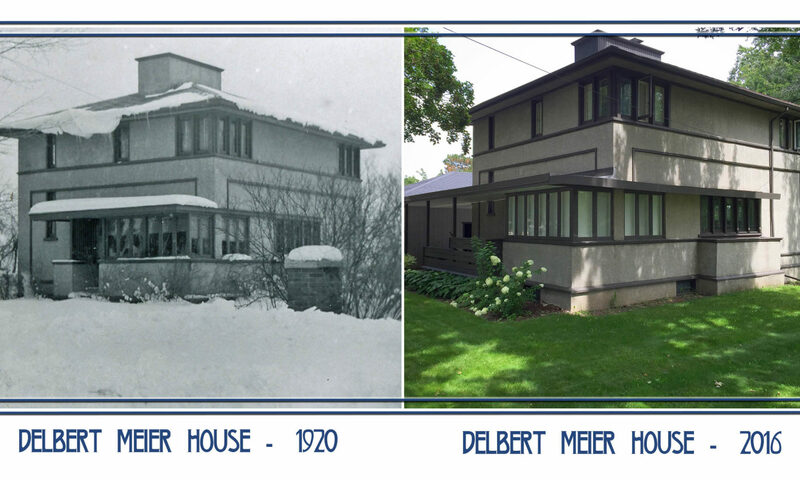 Or maybe Delbert Meier fell in love with the famous architects designs on business trips to nearby Mason City, Iowa, site of Wright’s Park Inn Hotel (1910) and the Stockman house (1908). 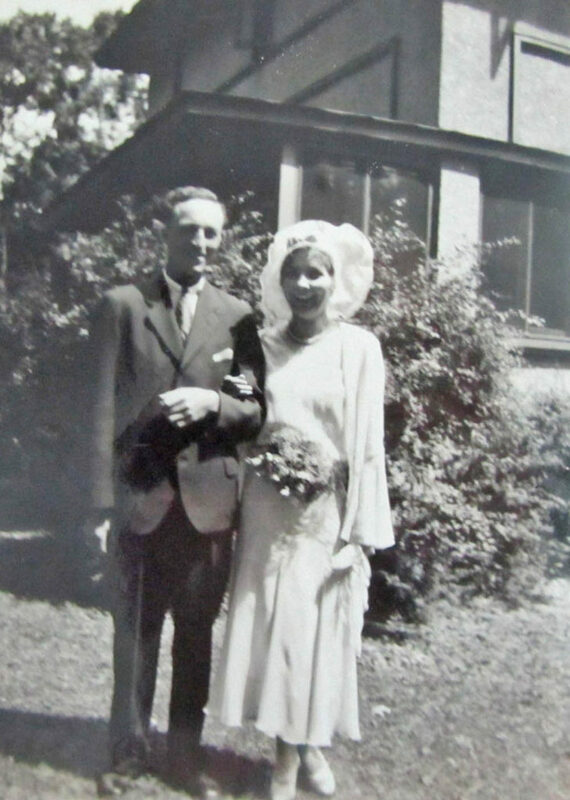 Martha Meier pictured standing in front of her parents’ American System Built Home on her wedding day in 1930. Delbert Meier resided in the American System-Built home until his death in 1959. His wife, Grace, stayed on in the house until her death in 1964. To date, the house has passed through the hands of five different owners. While many changes have been made to the house over the years, it is still in good shape for a house of its age. The original stucco still covers the outside of the house and the original carriage house still stands at the back of the house. Changes to the house over the years include a new garage and connecting breezeway, along with many interior changes. For more information about the house, to schedule a tour or inquire about rental opportunities, please contact the current owners using the form on the CONTACT page. TO SEE ALL THE LATEST UPDATES ON THE HOUSE.